Trash Talk….Meaning lets go through my beauty empties! It’s time to talk about trash again. And this time we got a nice variety of different products. Spot anything you’ve tried yourself? There is actually a product from my project pan in this empties post as well. It is always good to be able to include those, because that could only mean my project is going great? It is doing good. The only thing I struggle with is that demonic blush that refuse to show signs of wear. Anyways, that’s for my next project pan update. Today it’s all about what is already empty. Let’s start with a matching pair. #92 OGX Nourishing Coconut Milk Conditioner: I do feel like this is nourishing. It’s also a quite pleasant coconut fragrance since it ‘s not too overwhelming or artificial. This is not the conditioner I use when I want volume because it’s a bit heavy on my hair, but does really gives a lot of moisture. It also makes my hair smooth ans shiny. #93 OGX Nourishing Coconut Milk Shampoo: Same story as with the conditioner. I think this is the thoird time I buy these. This time it was only travel size bottles but the previous times it’s been full size (which are huge!). So I don’t mind repurchasing these I just need a break between because I get a bit tired of the coconut scent. That’s always the case for me and coconut scents so it’s nothing wrong with the scent really. #94 Yves Rocher Mango Coriander Energizing Bath & Shower Gel: This smells like a super delicious smoothie. The scent is absolutely lovely and perfect for summer. I really enjoyed this and would be happy to pick up another one. I will for sure do that on my next Yves Rocher order. #95 Tolymoly Lip Balm: Super cute packaging. The product itself was just Vaseline with a bad taste to it. Won’t repurchase but my niece will get this to play with because she lovers these kind of things (she’s 4). So at least there is that. #96 Kiko Matte Fusion Pressed Powder: This powder was OK. It looked good on the skin, and set my makeup nicely without looking cakey, but it did not mattify despite it’s name. Actually I found my skin to be more shiny than normal just around one hour after application, so if you are looking for a mattifying powder this is not it. #97 L’Oreal Glam Beige Healthy Glow Foundation: This was the one from my project pan I mentioned above. It is a light coverage foundation with a dewy natural finish. Good for summer, but I found that it does not last that well on my skin, so I won’t repurchase. I think. It’s not bad either and you never know hat might happen during a sale…..just saying. #98 Bastiste Dry Shampoo Original (Mini): I picked this up because I needed one for travel. This really does not last more than one trip. I got four uses out of it. Batiste is my go-to dry shampoo, but I prefer the brunette version because I don’t have to worry about white cast. #99 Duo Adhesive Lash Glue: I am maybe the only one who still like this? It seems like everyone used this some years ago, but now so many has moved on to something else? I like it though, and will repurchase. Remember that you can also follow me on Bloglovin and Instagram too! Benefit World O’Blushes Palette – Review! 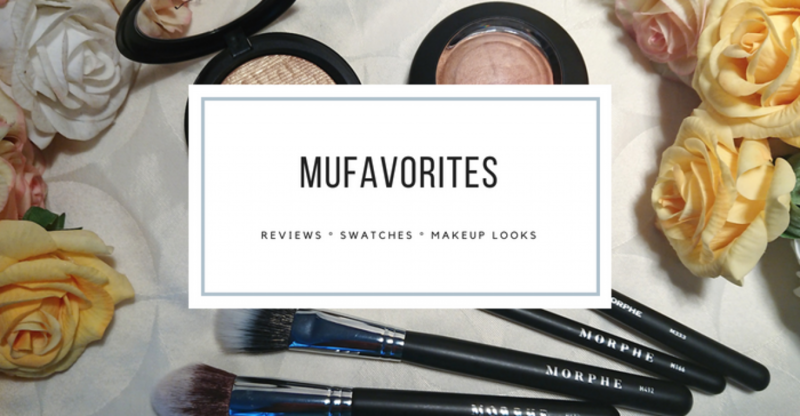 Juvia’s Place The Nubian 2 Palette – 8 Makeup Looks! The OGX cocunut line also has a body lotion which I really love if you haven’t tried it yet! I finished the coconut milk shampoo recently and have been trying to work through the conditioner lol. I like them. I do want to try the batiste dry shampoo.